The new Apple TV 4th generation model has many improvements and features that make it a great addition to a television and living room, but to get the most from the new Apple TV you’ll want to be sure you regularly update tvOS, the system software that runs on the device. Updating tvOS is simple enough and there’s actually an option to handle it for you automatically as well. For the purposes here, we’re going to show you how to manually update your Apple TV tvOS software so that you can be sure to have the latest version with the latest features. 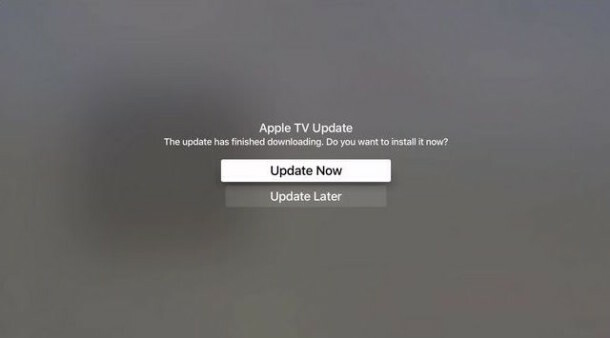 Updating tvOS is most easily achieved through the Apple TV itself by doing the following, you’ll need the device to have an active internet connection for the tvOS update to download and install properly. The process is generally pretty fast, though it will depend on how fast your internet connection is since the tvOS update is downloading from Apple servers. 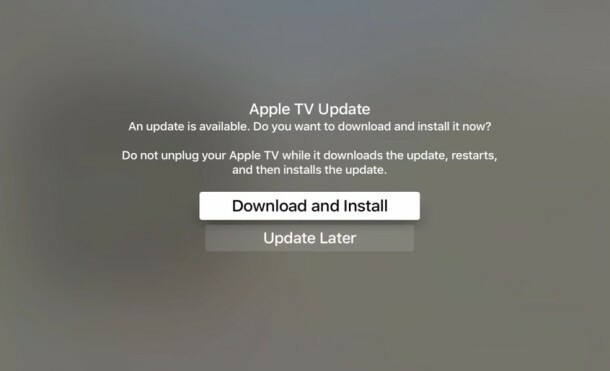 Another approach is to update tvOS manually through IPSW via iTunes, a USB cable, and a computer, but that’s a bit more technical and rarely necessary, thus whenever possible you should rely on the automatic update feature of tvOS, or update manually through the Apple TV Software Update mechanism as shown above. 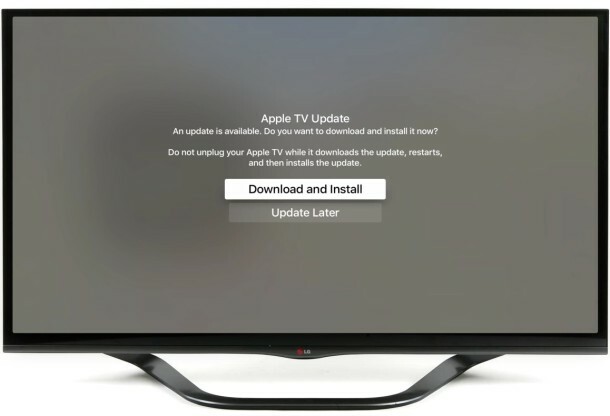 Many of the Apple TV devices out there have updates available to them, particularly if they’re brand new and haven’t been updated yet, so if you just got a new Apple TV, be sure you check for software updates available, as you could be missing out on important features like the ability to use the Remote app on the iPhone as a keyboard input on tvOS. This article is incorrect. The latest Apple TV requires you to go to system, maintenance, software update. Apple TV 4 has Software Update under the Maintenance portion of System Settings, that’s probably why everyone is so confused. Jeez people, try it before declaring you can’t figure out how to update your TV! You will find it, it is in Settings > System, don’t worry so much. have been working for days trying to get my favorite ringtone on my iPhone 4S Took for ever to figure out how to make it a p4r or something like that now I can’t get it to the ringtones instead of a tune. got any ideas? Your iPhone 4s can’t run tvOS and isn’t an Apple TV, that might be your problem! Since when is pressing an “update” button so complicated? Since young people quit being able to talk. Who said it was complicated? Apple TV is pretty easy once you learn how to use it, but you’d be surprised how many people have Apple products they don’t know how to use at all, and they never explore on their own. That’s not complicated. You probably haven’t read your refrigerator manual, I bet you don’t know some of the uncomplicated things it can do either. About TVOS and Apple TV, Automatic Update is a disaster waiting to happen with the low QA OS quality coming out of Apple lately, wouldn’t recommend it! You’re kidding, right? This qualifies as an article? And it doesn’t even mention auto update? Hilarious. Thanks for the chuckle and Happy Holidays! Your reading ability must be on par with your commenting ability, I’d give you about an F, because the article mentions automatic updates with Apple TV on two different occasions. This is why you kids should stay in school, reading comprehension is an important skill that you start to develop in about first grade. I’d suggest re-enrolling in an adult learning program, websites are way too advanced for you. And with your low skill level, I wouldn’t suggest playing with wall outlets and you definitely couldn’t figure out an Apple TV. Well pack it up everyone, “Joe Smith” knows everything there is to know about Apple TV. The guy is a certifiable know-it-all and therefore everyone else should not need to know anything at all. Hey “Joe Smith” maybe you can share your phone number and email address since you know everything and are offering free support to every internet user in the world with your supreme level of knowledge? Thanks Joe, you’re a real champion.